We service the greater Dallas Fort Worth metro area, including Highland Park, University Park, Southlake, Colleyville, Parker, Heath, Fairview, Prosper, Hickory Creek, Addison, Coppell, Trophy Club, Keller, Frisco, Flower Mound, Highland Village, Sunnyvale, Murphy, Plano and the surrounding areas. Celebrity Greens Dallas is the Authorized Partner and Designer and Installer of Artificial Grass, Artificial Turf and Artificial Putting Greens for Dallas Fort Worth and surrounding areas. We are proven leaders in the artificial grass landscaping market and have over 30 years of experience! Celebrity Greens Dallas installs Synthetic Grass Lawns and Golf Greens that are environmental-friendly. We’ve installed thousands of acres of artificial grass, and we have the training and experience that you are looking for. Artificial Grass Turf eliminates the need for water. It also eliminates the need for harmful chemicals that leach into the soil (fertilizers, pesticides, weed kill, etc.) 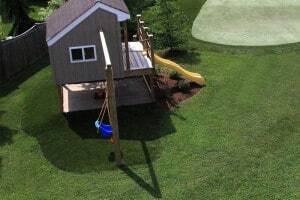 Additionally, Celebrity Greens Grass is recyclable and is available with an eco-friendly infill material. Celebrity Greens Dallas also offers complete landscaping services, and we are proud to offer products that require very low-maintenance while remaining lush and green through every season. Contact us today at 1-888-507-7960 for a free consultation!